Autumn’s crisp weather is a welcome change from summer’s heat, and fall fashion is equally refreshing after months of shorts and light T-shirts. Luxury is in style this season, but you don’t have to spend much; by borrowing these designer tips, you can get the look for less and still have cash left over for holiday shopping. Here’s what the runways had to offer and how you can stay in step with style without the couture cost. It doesn’t matter whether you favor a chic cloche, a knit cap or a trim fedora, hats are back in a big way, possibly because of popular period dramas such as “Mad Men” and “Downton Abbey.” A trendy topper is also a great way to stay warm on blustery fall and winter days; most of your body heat is lost from your head and your feet, so wearing a hat will help you stay cozy throughout the season. Nature’s palette for fall is bold, and you should follow suit by wearing something lively. Color even works for the office if it’s in limited doses. A solid red pantsuit might be too much for the office, but a charcoal gray suit with a pop of apple red from a turtleneck looks gorgeous. Any bright, vibrant color is fall-friendly this season, but some of the hottest hues include fuchsia, plum, pumpkin orange and rich emerald green. Every era has its iconic fashion trends that come back, and this season, the new wave and new romantic looks of the 1980s have had a major influence on designers. Not everything from the decade is back, though, so choose carefully; while cowl necks, high-waisted jeans and oversized sweaters in soft pastels a la “Flashdance” are making a triumphant return, fingerless lace gloves in neon colors are still fashion outsiders. One look that exemplifies the trend of ’80s inspiration without being too literal is this cowl neck dress in a luxuriously soft cable knit. Thicker, warmer fabrics have been in style every fall for decades, and this season is no exception. What’s new this year is the sophistication and polish of these textures. Velvet and velour wraps have an opulent quality that a chunky knit or thermal weave lacks. Satin and faux fur textures are also popular for fall. Welcome to Lakeside! 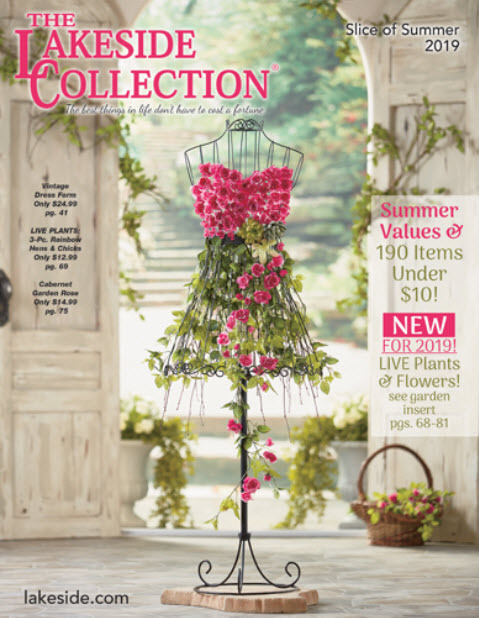 You can request a catalog on our website by clicking this link http://bit.ly/1a9OvNF or you can email me your mailing address information to Jodi@lakeside.com and I will be happy to mail one out to you.